When lower school families sit down for dinner, parents ask their children, “What did you do at school today?” The answer likely focuses on who the kids played with and what they ate for snack. But what if I told you that you have the power to transform dinnertime? Instead, you can fill it with conversation about the book that couldn’t be put down, the caterpillar model made of marshmallows and candy, the math problems solved—the list could go on forever! 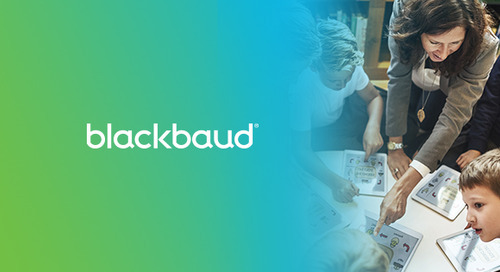 Because elementary-age students rarely log into an LMS, it’s naturally assumed that Blackbaud Learning Management System isn’t a tool for lower schools; however, there are a variety of features that can significantly improve parent engagement. The following tips provide a blueprint for LMS success. Mold these to your school’s educational philosophies and procedures, and dinnertime will never be the same. 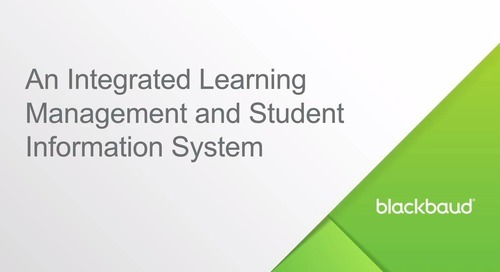 Download the document above to learn more about the many benefits of Blackbaud Learning Management SystemTM in lower schools. Elizabeth Bottonari is an Account Executive for the K–12 School Solutions team. She previously served as a K–12 Solutions Engineer, and before joining Blackbaud, she was a teacher for ten years, where she utilized Blackbaud's Learning Management System in her first-grade classroom. 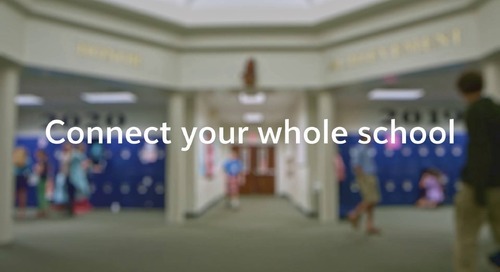 Having experienced firsthand the power of Blackbaud’s Education Management Solutions on a school community, she loves sharing her practical experience to help our schools achieve their goals.